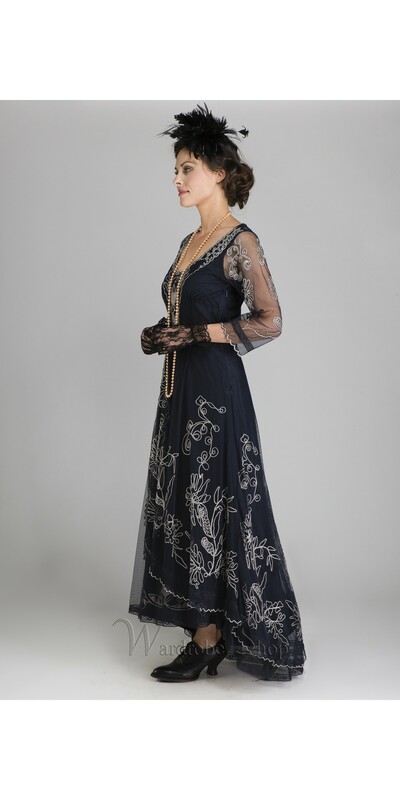 Downton Abbey Tea Party Gown in Sapphire by Nataya. Beautiful vintage-inspired dresses. Fast worldwide delivery. Click or call 323-592-9172 for more info. 3/4 Sleeve Length: Three quarter length sleeves stop halfway between the wrist and elbow, a stylish mix of both long and short sleeves. 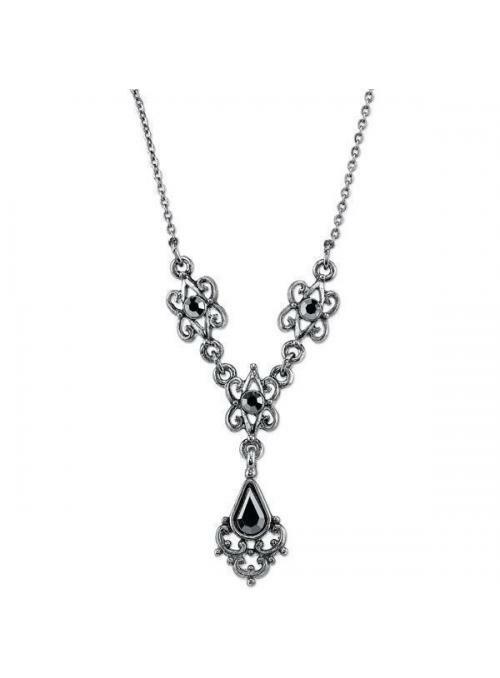 They are ideal for special occasions and give off a classy vibe, especially for more mature women. Scoop Neck: Scoop necks form parabolic necklines for clothing, accentuating the wearer's collarbones and shoulder lines in chic manner. Scoop necks can be stylishly worn for many occasions, from casual to formal. Tea Length: Tea length dresses stop a few inches above the ankles, perfect for any sophisticated, modern woman who wants to show off the right amount of leg. 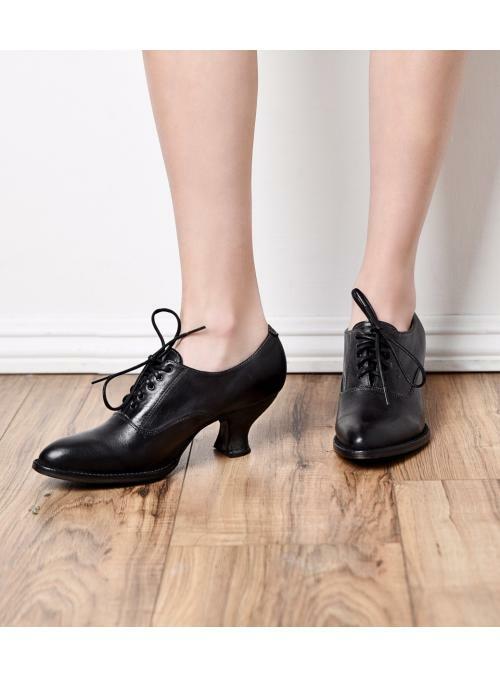 They're not overly formal, but still effortlessly elegant, perfect for casual weddings and get-togethers. Empire Waist: The empire waist emerged as a part of neoclassical fashion in an attempt to emulate the looks from Greco-Roman art during the late 18th century. Today, it is one of the most flattering fits for dresses, as it not only creates an hourglass form for the body, but also elongates legs. Victorian Period: The Victorian Period reigned from 1837 to 1901. 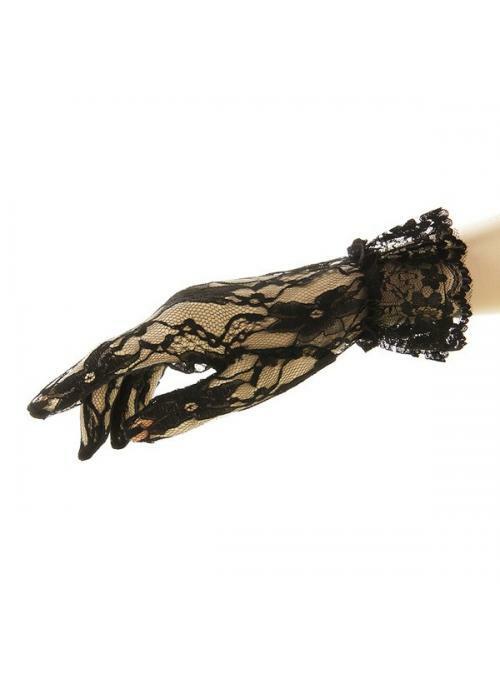 Due to the industrial revolution at that time, clothing was made quicker and cheaper than ever, which allowed for lace and floral designs to become common. These dresses had visibly distinct bodices, similar to the empire waist fit today, and low necklines for formal occasions. Skirts were also cut narrower to produce a slim frame. A reproduction dress from that period needs to incorporate the above features. 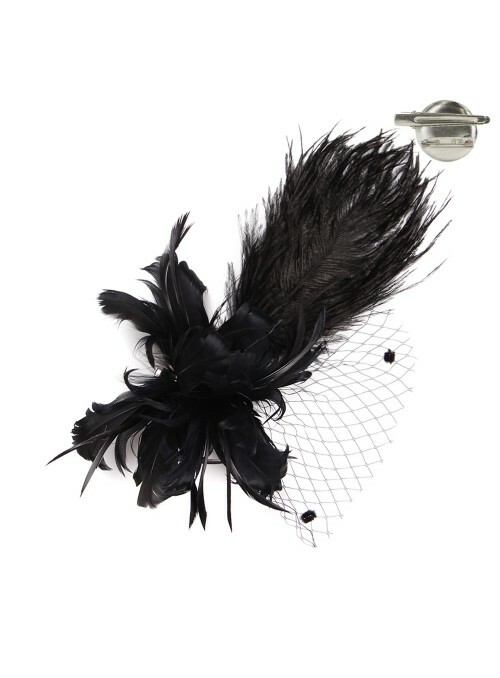 1920's Period: The flapper style is iconic of the 1920s. Flapper dresses were straight cut and loose, they did not hug the curvature of the body. They also had lower waistlines to promote a "boyish" look. Dresses usually stopped at the calf, similar to tea length dresses. 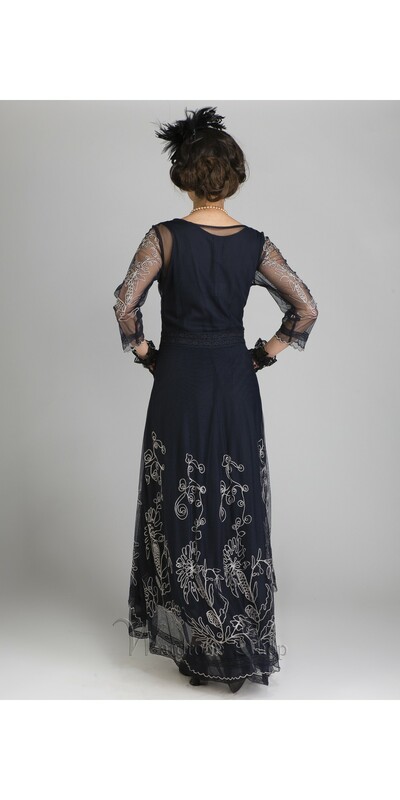 A reproduction of a dress from that period would need to encompass the features named above. Downton Abbey: Downton Abbey is a British period drama set at the end of the Edwardian Era, the early 1900s. The show focuses on an aristocratic family during the reign of King George V. At this period of time, waistlines were raised to an empire fit. Embroidery was also very prevalent in designs. Layering the skirts of dresses with embroidered or lace fabrics also grew into fashion. Put together, these elements would make a dress that accurately represents the late Edwardian Era. the dress is very nice, it is bit too big though, I probably could have gone with an M instead of an L. the fabric is smooth and very comfortable and the dress really looks lovely. Ordered from England late on Thursday, delivered following Monday morning. Amazing. The dress is perfect. I did ask for size advice from the 'chat line' and the fit is superb. The quality and workmanship is wonderful. Just can't say how thrilled I am with this garment. It makes me feel sooo elegant and sophisticated. The midnight blue colour is perfect. Thank you. Totally recommend the dress and the company! My dress arrived a day early and I LOVE it!! It fits perfectly! MY chat person did a great job of answering my questions. The size chart indicated I would need a size M. I am 5' 7, wt. 150. I bought a size L and it fits perfectly. Glad I sized up. 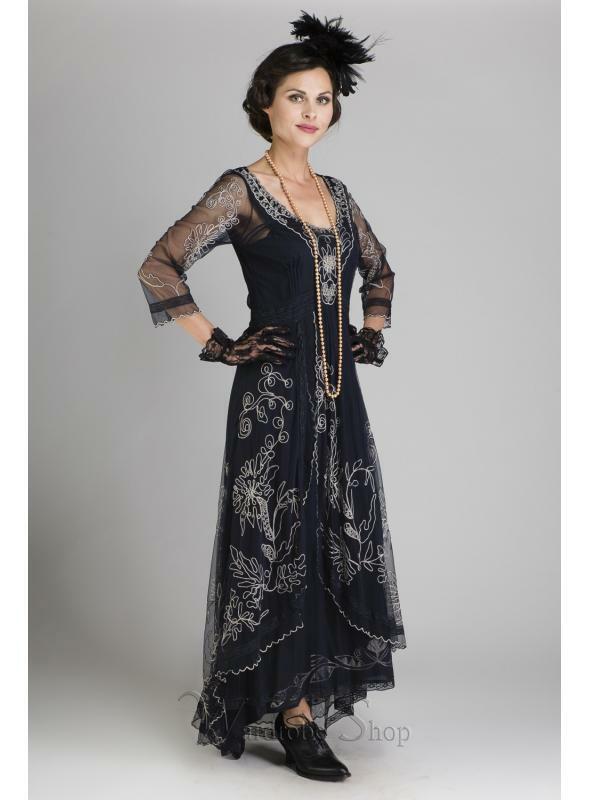 Wearing this to a Downton Abbey tea party. Can't wait! The dress is beautiful! 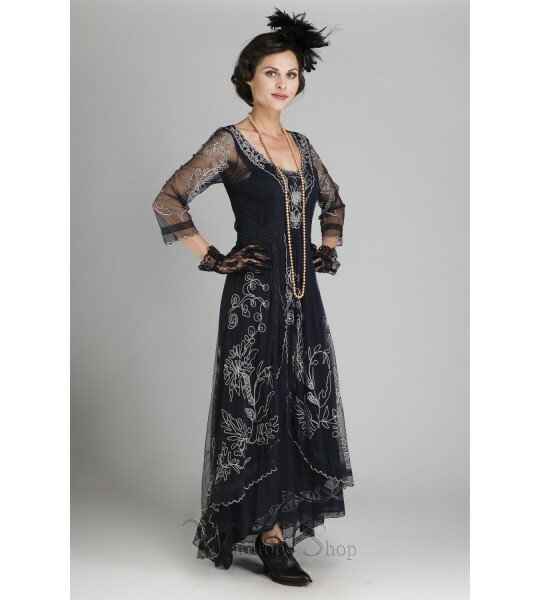 I bought this dress for a 1920's themed party and it's very sweet and elegant. I dressed it up with shoes and jewelry and it's perfect. I bought a large and I am 5'7 140 with a large chest. Fits perfectly and very flattering! I am so happy with this purchase. It was a little nerve wracking to purchase an expensive garment on line, especially when the size chart showed me quite squarely between two sizes. I ended up going up a size and was glad that I did. The underdress is a little large around the arms and chest, but a couple of simple darts will remedy that. The overdress is also a little loose, but since the material is so delicate, it just means I can move more easily in it. I am not a small person and was worried that I would look like a barrel in this shape of dress, but I found that it is very flattering and even though it doesn't make me look tiny like the model (LOL), it does flow beautifully and is very forgiving with a less than perfect shape. Even though I bought this dress for my daughter's wedding, I know I will have many more occasions when I can wear it. Dress arrived within a week to Australia and that included a public holiday so very impressed! Fit's perfectly. I ordered a size 1X - checked sizing using "chat" feature and was told this would fit perfectly and it did. I'm 5'4" so dress is longer than on model - hem sits at heel at the back. The dress itself is beautiful - everything I hoped it would be and I'm looking forward to wearing it. Thank you! My dress arrived today and it's gorgeous! I ordered a 1X after checking via "CHAT" and being assured it would be the perfect fit, and it is ... thank you! The quality is excellent. I am 5'4 and the length is ideal - longer than it looks in on the model - the back sits at ankle length. The quality is excellent. I ordered it last Tuesday from Australia and it arrived today - a week later with a public holiday yesterday so I reckon that is incredible service. One very happy customer here - can't wait to wear it! Such a lovely dress. The fit is wonderful. I cannot wait to wear it to my son's wedding! Bought size L as size guide suggested this would be right or slightly big. Unfortunately the under skirt was very small and over dress just too tight. Certainly not 40 inch bust! Expensive dress to be wrong fit. Still love dress but had to have altered to wear.